Still haven’t decided on what to get Dad for Father’s Day? We’ve got you covered! We’ve colored up some great ways to add a personalized element to your Father’s Day Gift with a hand painted piece of pottery. The amount of time and thought that goes into creating a handmade gift gives it a value you can’t put a price tag on. All of these gifts have been inspired by stories that make each piece as unique as they are… and you can’t find that on and endcap. Here is some inspiration you can use to create something special for your dad this year at As You Wish Pottery! First up is a modern twist on a grill plate. 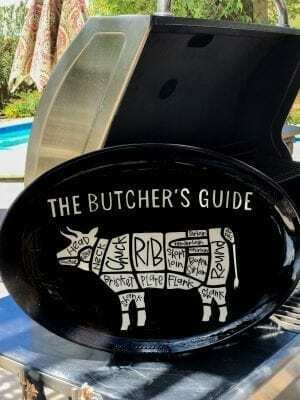 If your dad’s a bacon lover, make it a pig instead! And for all those vegan daddies out there, how many ways can you cut a cauliflower? 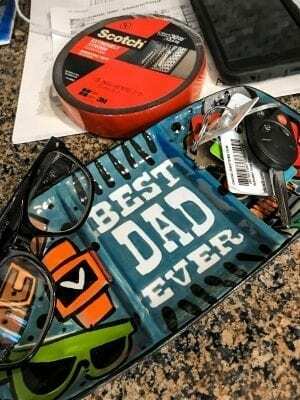 #2 is a trinket tray for all Dad’s pocket stuff. #3. 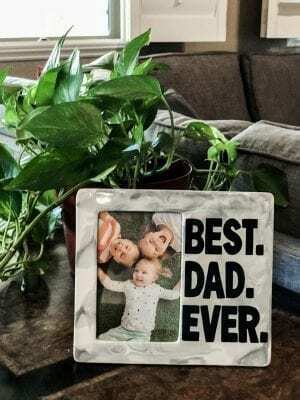 Paint a picture frame for Dad including a photo of one of your favorite memories. #4. 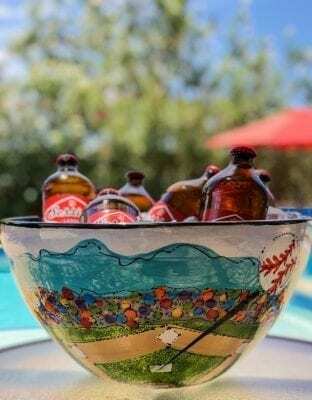 This bowl doubles as a beer bucket! Fill it with Dad’s favorite drinks on ice or his favorite game day snacks. I hope this helps get your creative juices flowing! 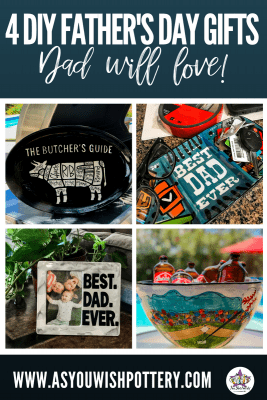 For more Father’s Day gift ideas click here!